This year, we decided to join most other cancer researchers in Bergen to the CCBIO annual symposium at Solstrand hotel. 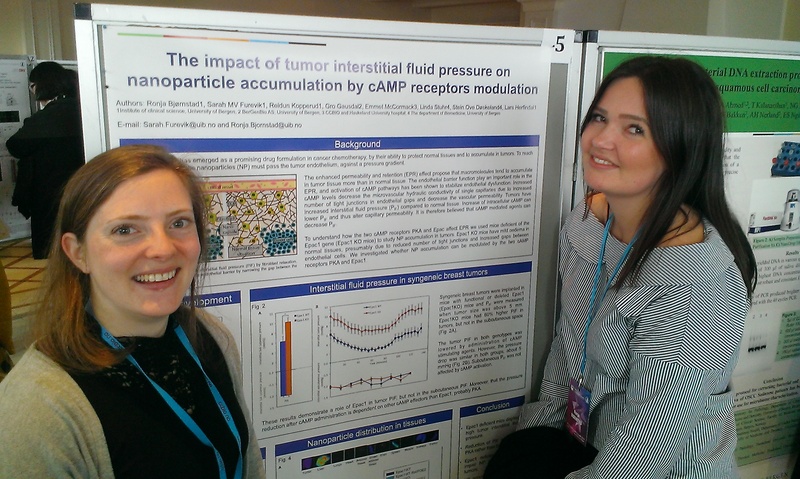 Sarah and Ronja presented a poster on their findings on how the cAMP receptors Epac1 and PKA influences the pressure inside tumours, and subsequently nanoparticle accumulation. This was part of Sarah’s master thesis, and Ronja has supplied excellent data on tumour pressure measurement. A poster is the first presentation of data, and has given us an idea of how the final article will be. We will now start to gather together a manuscript. 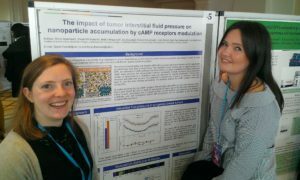 Here are the two happy scientists in front of the poster presenting their research. New molecules to treat leukemia?